So, do you have a profile page already? If you do not have one yet and you are trying to reach a big audience, then you should take advantage of these amazing facts about one of the biggest and most favorite social networks today. It has 845 million active members, making it the third biggest country worldwide! Not only that, its population (the total number of users) is three times bigger than that of the United States. For every 13 individuals on the planet, 1 is on the social site. The average user spends around 11-12 hours on the site per month. For every 5 views on a webpage, 1 is on a Facebook page. A Facebook link connects with 10,000 websites per day. The total number of fans on all fan pages has reached more than 5.30 billion. Given all the fantastic things you have just learned, would it not be great to be a part of this huge community too? If you are interested in making a profile and fan page, this article offers optimization tips, particularly on the network’s newest feature – Timeline. Let us have a quick look into it. 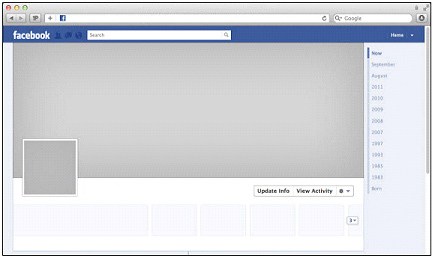 Facebook introduced the new user interface (UI) on September 22, 2011 during the F8 Convention. It was available for the users on December 22, 2011. On January 24, 2012, there was an announcement that it was going to be compulsory for all the members. In fact, it was already mandatory in a few countries in the same month. 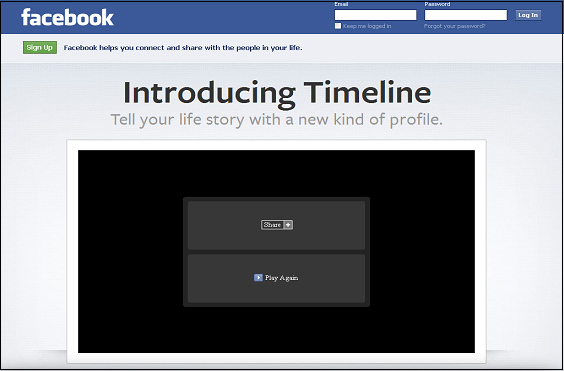 On March 31, 2012, all profile pages not yet using Timeline automatically upgraded to the new UI. Some of the users have complained about it; however, it is actually a great feature given its recent functions such as the ability to add maps and music. Most of all, you can come up with a video clip out from your page content using the Timeline Movie Maker. Now that you have obtained general insight about Facebook’s recent UI, find out how you can optimize your page. Do you see that wide space on the image below? That is where you are going to place a unique picture, which represents or describes you best. You have to remember this aspect since it is the first thing that most users will notice whenever they check out your profile. As you are selecting an ideal image, you should not forget the website’s standards on choosing a cover photo. This element serves as your trademark or representative “badge”, especially on page feeds. Therefore, add a photo that represents you well. Make sure that your target audience will recognize you or your brand (for your fan page) right away with just a glance at the image. Assuming that you have both fan and profile page, you need to follow different tips for each. Fan Page – Optimize the top three apps, which you have control. These can include your company’s customer support group, product or service catalog, and marketing vehicle (e.g. newsletter, videos, and downloads). Profile Page – Your apps usually include games played, music shared, and movies watched. Let your friends or fans know about the key moments in your life or company’s history. These may include birthday celebrations, anniversaries, and product launches. You can optimize this category by filling out all the fields (i.e. event, location, date, description, and photos). Highlight a special occasion in your life (for your personal profile) or an important business event (for your fan page). While doing this, do not forget to add related photos. Finally, click on the star button to make your post widescreen. 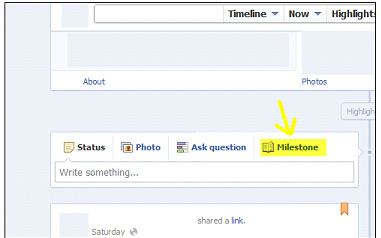 This Timeline feature lets you prioritize and build exposure for an important post for seven days. For your fan page, you can pin video adverts or new products. On the other hand, you can pin special events or new activities on your profile page. 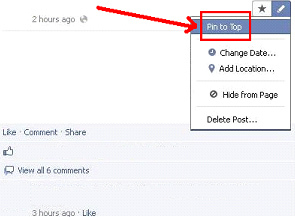 Some users may have groaned about the automatic upgrade of Facebook Timeline. But if you only know how to make the most of its functions and features, you will realize that it actually offers amazing advantages. With that said, you should definitely explore Timeline to learn more about it!